With Formula 1’s summer break forecasting an expected calm, Daniel Ricciardo triggered the first major shock by calling time on his five-year tenure at Red Bull in favour of a move to Renault for next season. With the news beginning to sink in, there has been time to reflect on the Australian’s decision. Fresh from dominating the Monaco Grand Prix in May with a masterful display - marking his second win of the season - Ricciardo looked a potential candidate to put up a genuine title challenge against Lewis Hamilton and Sebastian Vettel. Despite making promising gains over the winter, Red Bull’s inability to keep up with rivals Mercedes and Ferrari, coupled with a spate of reliability issues, all but ended any realistic hopes. It proved timely for Ricciardo, who, after months spent pondering his future and with his choices seemingly narrowed down to an extension at Red Bull, ultimately swayed towards Enstone during a long-haul flight to the US. He rang up current boss Christian Horner to tell him of his decision before it was subsequently announced by both parties. Horner initially believed the Australian was up to his usual pranks, but to his surprise, Ricciardo was in no mood to joke on this occasion which he fears is 'an enormous risk' for the Australian driver. “I could understand if it was to Ferrari or Mercedes. But it’s an enormous risk at his stage in his career,” Horner said in an interview on the official F1 podcast. “It wasn’t about money, it wasn’t about status, it wasn’t about position or commitment or duration. I think he felt that ‘I need to take something else on at this stage in my career now’. It might be an inspired choice, it might be one that he regrets. Ricciardo, who will face the media for the first time since the announcement at the upcoming Belgian Grand Prix, spoke of needing a “fresh challenge” and admitted the call had been “one of the most difficult decisions to take in my career” in Renault’s press release. His words are reminiscent of Lewis Hamilton’s explanation behind his own career gamble back in 2012, when he opted to call time on his long association with McLaren to take on a rebuilding project with the returning Mercedes squad. “It is now time for me to take on a fresh challenge and I am very excited to begin a new chapter,” Hamilton said on his arrival at the German manufacturer. Parallels can continue to be drawn between the pair. Hamilton, then 27, had grown frustrated by McLaren’s continued failure to challenge for world championships. The Briton racked up 12 wins in the period between his first title triumph in 2008 and his final season at the Woking squad, but McLaren could not make the most of boasting quick machinery – particularly in 2012. A gearbox failure while leading the 2012 Singapore Grand Prix all but ended Hamilton’s quest for world title that year and proved the final straw before his own bombshell came. 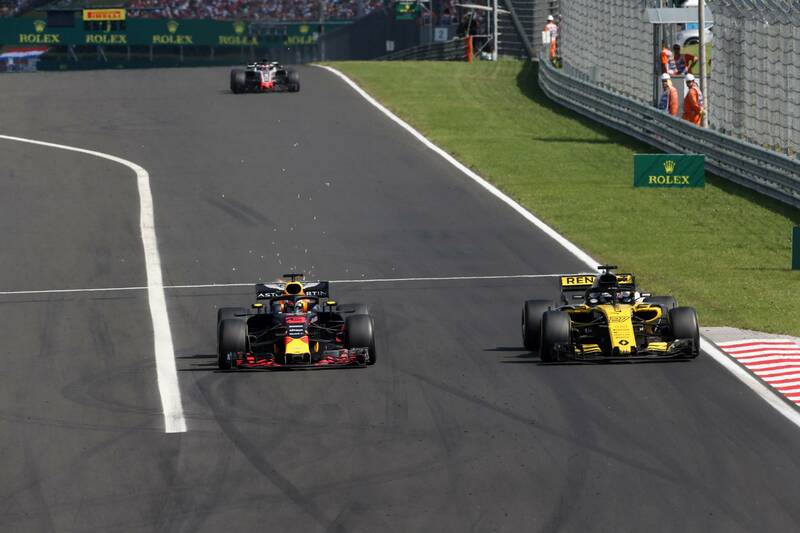 A similar picture was painted as Daniel Ricciardo dropped out of contention in Germany this year, just weeks prior to the news of his Renault move became public. Ricciardo is leaving a Red Bull team that has helped him to seven career victories and that has often picked up the pieces when things have gone wrong for Ferrari and Mercedes, but ultimately it has spent the entirety of the V6 hybrid era playing catch up with a less competitive engine. Renault’s failure to provide Red Bull with a competitive-enough power unit prompted the Milton Keynes squad to take a punt on Honda for 2019. The Japanese manufacturer spent this season rebuilding its reputation by making steady progress with sister team Toro Rosso. Ironic it might be that Ricciardo has chosen to remain with the same Renault engine that has brought him so much disappointment over the past few years, but the lure of becoming a team leader at a revitalised factory squad ultimately proved too tempting to turn down. He will joining a Renault outfit currently battling it out to be best of the midfield in 2018, with the team occupying fourth place in the constructors’ standings by a relatively comfortable margin over nearest rivals Haas. Renault is making solid progress as it works its way back up F1’s pecking order and has its sights firmly set on re-establishing itself as regular championship challengers in the coming years. 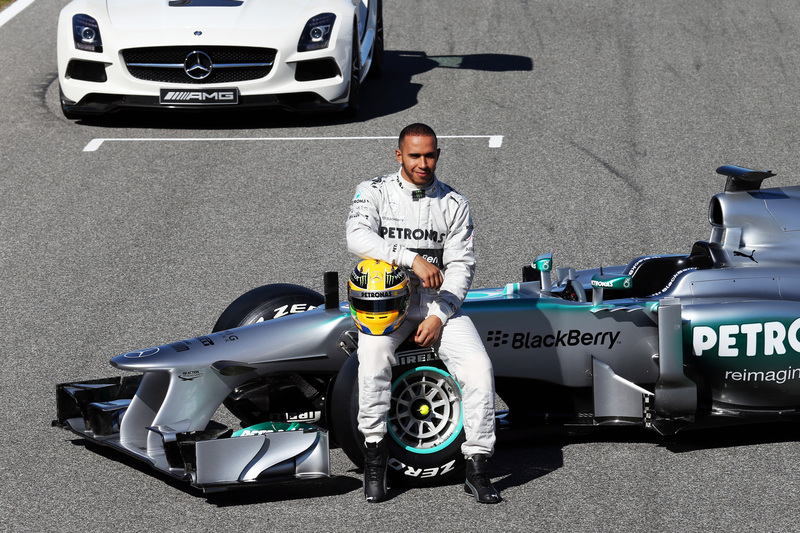 Hamilton found himself in a similar position when he moved to Mercedes. The Silver Arrows had ended 2012 fifth in the championship and had full focus on the switch to the V6 hybrid era, beginning less than two years later. He would take just a single win in his first season with the team en route to helping Mercedes surge into runner-up spot behind Red Bull. A further 45 wins and three world titles (and counting) would follow over the course of the next four and a bit seasons. Success is not likely to be instant for Ricciardo; he might well have to play the waiting game and he may not end up reaching the same levels of Hamilton, but with a new set of regulations on the horizon in 2021, he could be set to follow a similar path of glory to the one currently being trodden by the Mercedes driver.